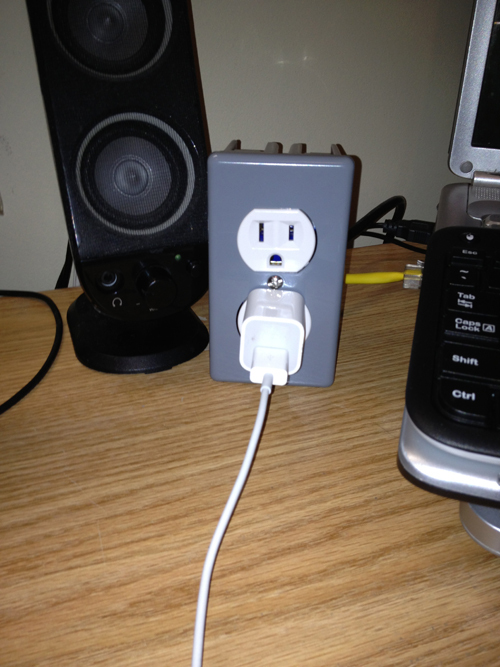 Inspired by an article on Life Hacker, I decided I needed a desk top outlet. 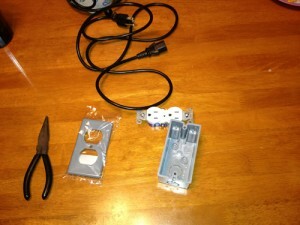 So I went out and got a 15 amp 120 volt white outlet, a grey electrical box, and a cover plate. Spent around $2 in all ( I already had the computer power cord). First step, knock out a hole to feed the power cord through. 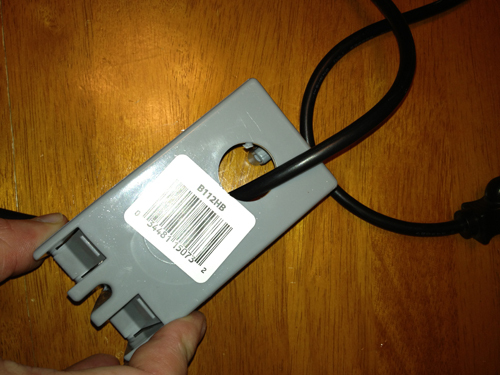 Next, cut off the end of the cord that goes into the back of the computer. There will be three wires. Black, white, and green. Strip those wires, exposing the copper. Then wrap each wire around the corresponding screw and tighten. 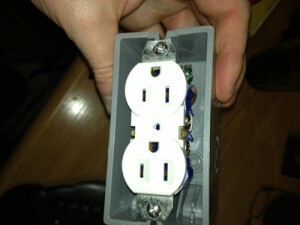 Break off the metal tabs and screw outlet into the box. Wrap any exposed wire in electrical tape and put the cover plate on. Plug it in and you’re good to go. 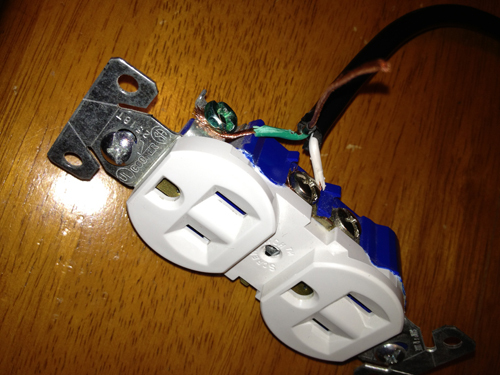 Instant extended outlet. This is the first version (Mark I). I’m going to make another one with an outlet that has USB ports.